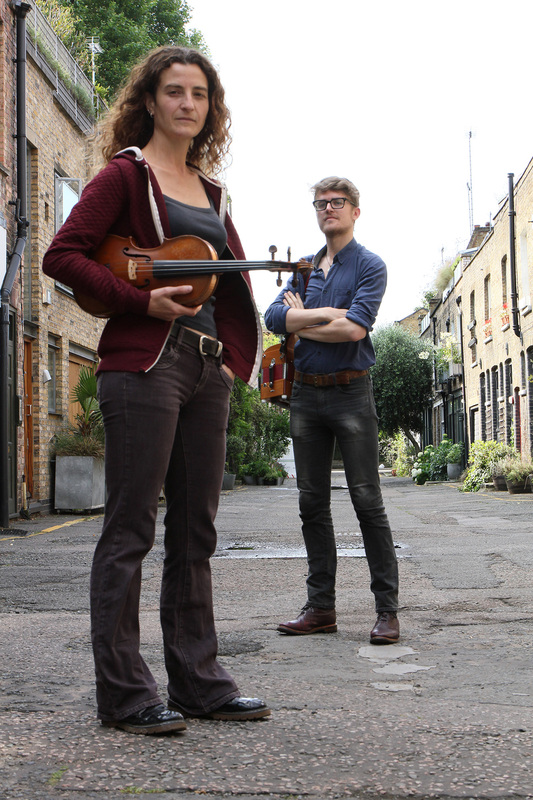 November’s concert in the Folk At The New Room series will feature ‘three fiddles, two voices, one melodeon and a pair of clogs,’ and promises to delight audiences with a mixture of English traditional music, reflective moments, energy-infused tunes and the delicate art of clog dancing. Well-known duo Laurel Swift and Ben Moss will be at the New Room – aka John Wesley’s Chapel in Bristol’s Broadmead – on Thursday 22 November, performing both traditional and original English folk songs in a variety of styles, with the Old Somerset Russets Village Band as their support act. Swift and Moss have been performing as a duo since 2013, having first met as members of the ground-breaking Morris dance company, Morris Offspring, which saw them tour the UK and North America, appear live on BBC4 from the Royal Albert Hall, and perform as part of Steeleye Span’s Wintersmith tour. They started playing music together after Steeleye Span’s support act dropped out, and they were asked to step in at very short notice. They enjoyed playing together so much that they recorded an EP and have been playing folk clubs and festivals ever since. This will be the pair’s first concert together in Bristol. This concert will also be the first appearance in Bristol of the Old Somerset Russets Village Band, a group of West Country musicians who combine words and music to recreate the sound and spirit of village bands of yesteryear. Tickets are priced at £12 (£10 for concessions) if purchased in advance from the New Room café or shop or via Eventbrite*, and will also be available on the door at £14 (£12 for concessions). The café at the New Room will be open from 6.30pm for pre-gig refreshments. Doors to the chapel where the gig takes place open at 7pm, and the gig starts 7.30pm. Seating is unreserved. *For bookings through Eventbrite an online booking fee applies.